This is one of B's favorite busy bags. 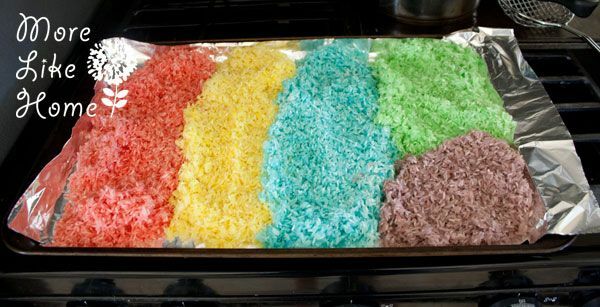 Rainbow rice! 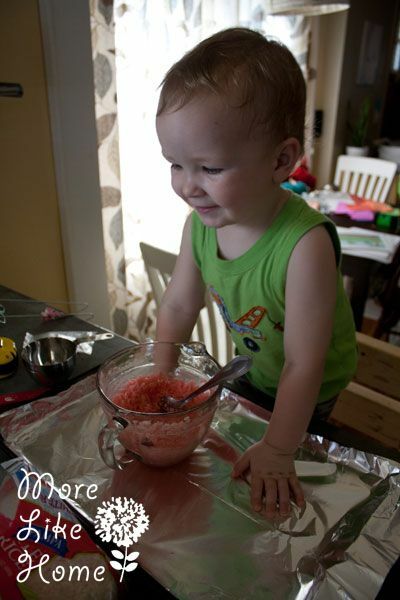 He had a lot of fun helping me make it, too. 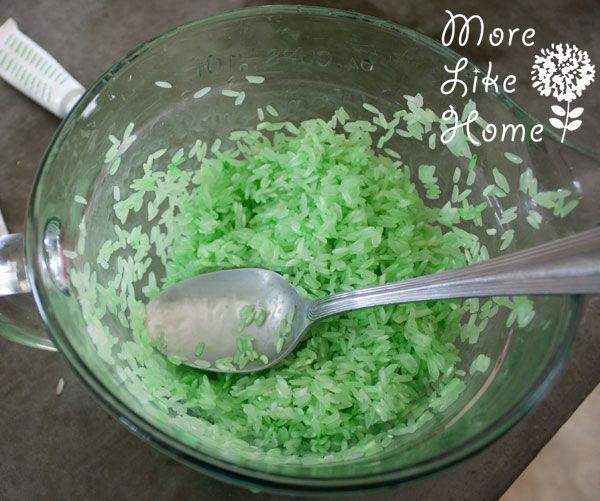 All you need for this is white rice, vinegar, and food coloring. 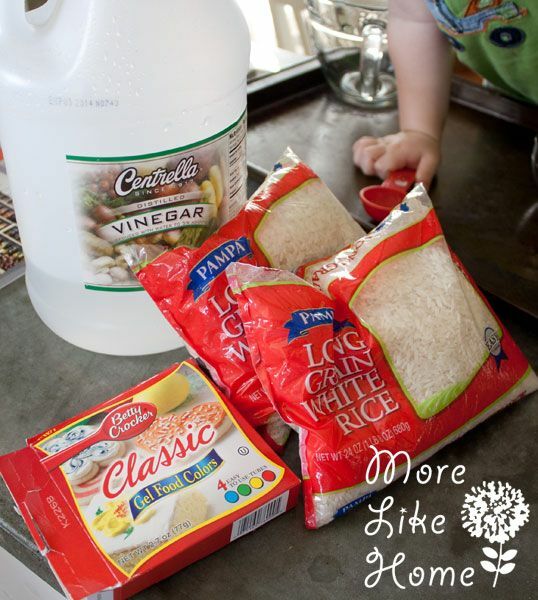 For each color combine 1 cup of rice, 1 1/2 Tbs of vinegar, and a squirt of food coloring. Mix well. (Be sure to rinse your bowl out between colors so things don't get too muddy. 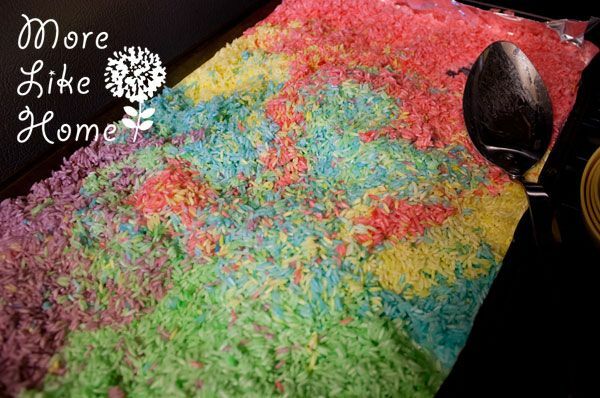 Spread each color out on a cookie sheet and bake it at 175 degrees. Stir it every 10 - 15 minutes and check to see if it is dry (it took me a little over 1/2 hour to finish). For this bag I just bought two bags of rice and two sets of scoopers from the Dollar Tree (I already had the vinegar and food coloring) so my total cost for the bag was just $4. 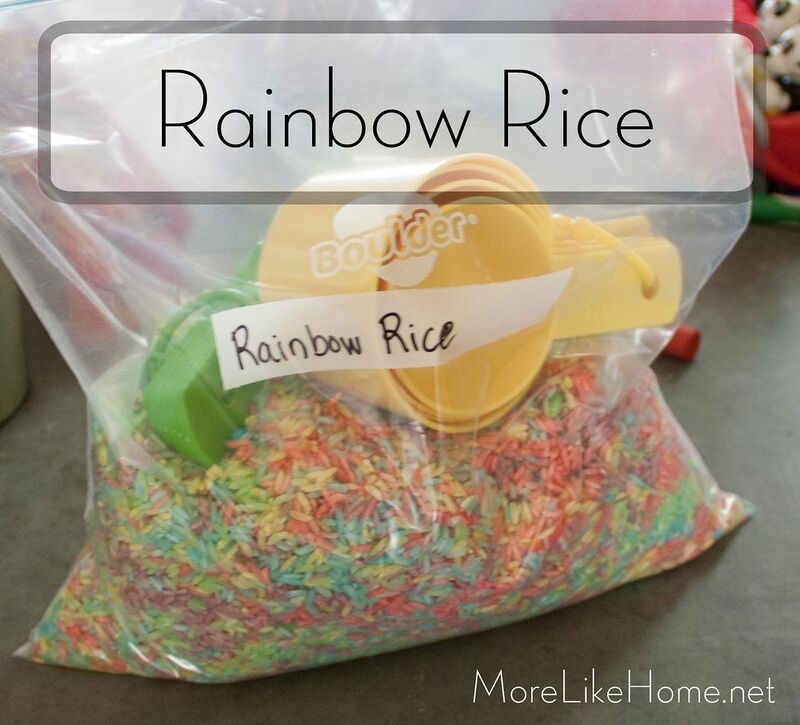 What kind of toys do you use with rainbow rice? Love this idea- just pinned it! 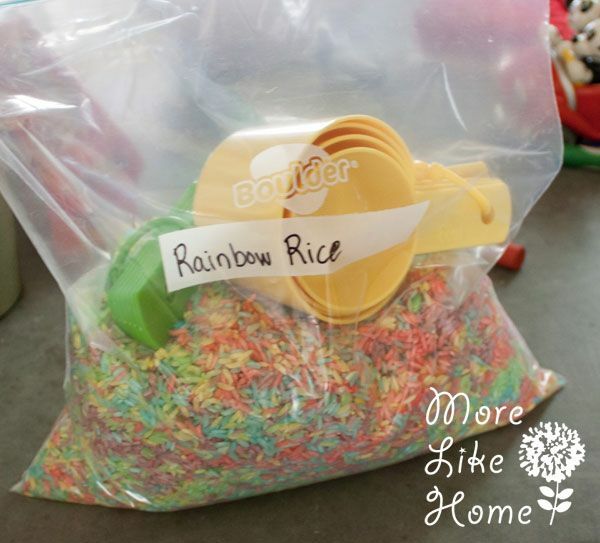 I am putting together activities for my 2 & 4 year olds to do while I am working on school work with the older kids, and this will be perfect. Thanks for sharing! This is a great idea for my texture table at school! I will plan to do this soon with my class! Your helper is very cute!